FD 4x4 Centre is your 4x4 specialist for maintenance, accessories and vehicle conversions. You choose your purpose, we will adapt your vehicle. With experienced mechanics, a competent metal workshop and state of art CAD designers we can help you with all your needs. tents, hardtops and other products will serve you for many years of offroad use. As we control the production, it is easy to adapt our products to your needs. One of our revolutionary products is the Tembo 4x4 e-LV, the first electric conversion for the Toyota Land Cruiser 70-Series. This vehicle is not just a showcase of our capabilities. It is a practical workhorse for the mining industry, suitable for hard work in the toughest conditions. Our restoration department is waiting for your vehicle, ready to strip it for a full rebuild. Restored to its original glory or upgrade your vehicle with modern day technology, materials and trim: the choice is yours. If you can dream it, we can make it. FD 4x4 Centre is your one-stop-shop for all your off-road wishes. Our clients range rom offroaders to industrial companies, governments and even NGOs: no order is too big or too small for us. FD 4x4 restores, converts, maintains and built 4x4 vehicles for the private and business market. We also design and produce products for 4x4 vehicles. The products are sold at our workshop and through the webshop. FD 4x4 wants to distinguish themselves by the high level of knowledge in products and the market and also finding innovative solutions. Above is guaranteed by a certified quality management system in accordance to NEN-EN-ISO 9001:2015. The system is assessed annually by an independent, approved institution. FD 4x4 Centre is ambitious, we look ahead. We deliver quality products and innovative solutions for the 4x4 market of tomorrow. Our aim is to become one of the top producers of off-road products and accessories. For our clients we offer a complete package from design to production and maintenance, all under one roof. 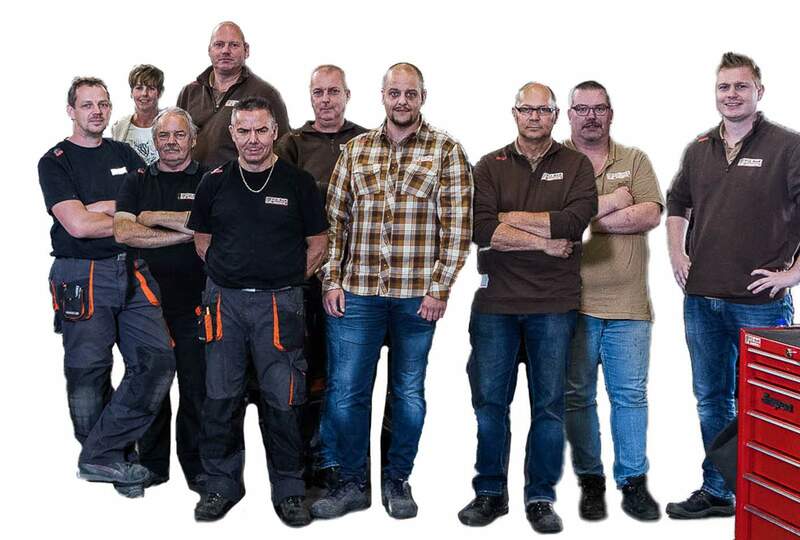 We love our job, have a skilled workforce and are a no-nonsense company. If a part or product is not yet on the market, we can make it for you. Click here to see who works at FD 4x4 Centre. In 1969 Gerard Daams started his company in agricultural mechanisation, producing stable constructions, agricultural machinery and soon after the dealership of Renault tractors. Starting as a small entrepreneur he managed to grow his company. 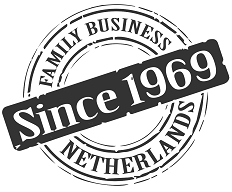 His sons Toine and Frank Daams brought the 4x4 into the business, and in 1996 they switched over completely. Since 2014 Frank Daams is in charge of FD 4x4 Centre, putting emphasis on in-house production and special projects for clients in the region and all over the world. FD 4x4 Centre sells original and aftermarket parts for Toyota and Land Rover. We have a weekly delivery from Britpart and give sound advice with everything we sell. In our webshop you can find our selection of parts and accessories for all types of 4x4 vehicles, including those from our own brand Tembo 4x4. In the extensive online Britpart catalog you can find even more. It is also available in a paper edition, come to Bergeijk and collect your copy. If you need a Britpart piece which you cannot find in the webshop, we’re happy to give you a price on the phone or by email. 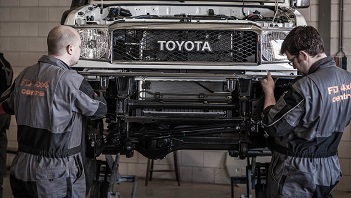 Our workshop is specialised in maintenance of Land Rover and Toyota. All brands are welcome. Our mechanics use state of art diagnostics and tools, and we offer service and quality work. If you have special wishes, contact us. If it’s not on the market, we’ll make it for you.